By default, your iPad automatically connects to known wi-fi networks. (To stop an iPad from automatically connecting, you can tell your iPad to forget a wi-fi network.) But what happens if you take your iPad to a new location? You'll need to manually connect your iPad to a wi-fi network. When you connect an iPad to a wi-fi network, the iPad remembers that network and will automatically attempt to connect to it in the future. This is a great feature for wi-fi networks you trust and use frequently. But mistakes happen. If you connect to the wrong network at a coffee shop, your iPad will automatically attempt to join that network every time you visit the coffee shop in the future. And if the password for a known network changes, your iPad might have trouble connecting to it. If you're a new iPad owner, one of the first things you'll need to learn how to do is connect your iPad to a wireless network. That's because the iPad, being the small and portable device it is, just screams to be taken to the coffee shop. And the airport. And your friend's house. All of which have wireless networks, or wi-fi networks as they're referred to in iOS. Changing your iPhone's wallpaper is one of the best and easiest ways to customize it. You can use photos, images you find on the Internet, or the free wallpaper images that Apple provides. The best part is that you can use different images for the home screen and the lock screen. We'll show you how to do it! Downloading an image from the Internet to your iPhone is an easy to way to save the pictures your friends post on Facebook or any of the cool iPhone wallpapers you find on webpages. (As an examine, we'll use these beautifully designed wallpapers for your iPhone.) Plus, if you use Photo Steam the saved images will instantly be available on all of your other Apple devices. The process is easy, and takes only a second. 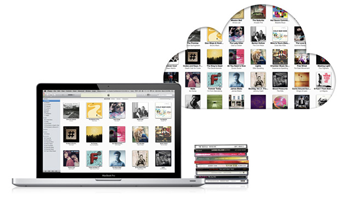 I use iTunes Match and I love it. Being able to stream and download all of my music to an iPhone over a wireless or cellular connection is priceless. But there is one time when I don't want to use iTunes Match at all: when I'm using my iPhone in airplane mode or when I'm in an area with no cellular or wireless connectivity. Dropbox is a popular cloud storage service that magically moves files from one device to another, but it's probably not the first name that comes to mind when you think of version control. However, as you'll learn in this tutorial, Dropbox has several powerful features that allow you "undo" any changes you make to files saved in your Dropbox folder. This is an absolute necessity for those of us who use Dropbox to store critically important files that can be accidentally modified or deleted. If you're like me, you have thousands of songs in iTunes. It's nice to have all of that music available at the click of a button, but different times and situations call for different types of music. For example, you might listen to Metallica and AC/DC during your lunch break and Bach and Brahms in the evening before going to sleep. For years, the only way to sync the music, movies, photos, and other content on your Mac was to physically connect it to your iPhone with a USB cable. Of course, that's still an option. But if you own an iPhone running iOS 5 or later and a Mac with iTunes 10.5 or later, there's an even better way to sync content to your iPhone: wirelessly and automatically. This tutorial shows you how to cut the cord. Apple's Magic Trackpad is a great alternative to the classic mouse. But as with all wireless devices, the trackpad's batteries will die eventually and you'll need to replace them. That's why it's a good idea to check your Magic Trackpad's battery life before you leave home or deliver a presentation.